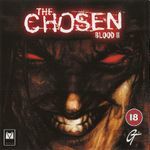 Blood II: The Chosen is a sequel to Blood. Set in 2028, the game takes place 100 years after the storyline of its predecessor, with the player once again assuming the role of Caleb, the immortal gunfighter. The game is notable for being one of the first games made using Monolith's LithTech engine.